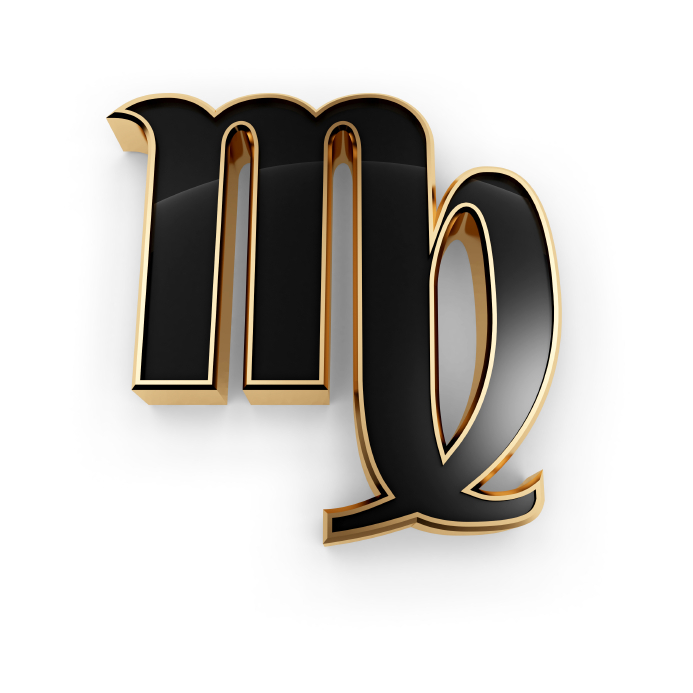 The Moon enters Virgo at 9:53 AM EDT today. It’s a busy day! The Moon enters Virgo at 9:47 AM EDT and makes a slew of aspects, Venus enters Gemini at 11:18 AM EDT (it’s going to be there quite a while due to its retrogradation in May, so get used to it), and Mercury is getting ready to station (it goes direct tomorrow). With the Moon in Virgo and Venus in Gemini, Mercury, the ruling planet of both Virgo and Gemini is emphasized, so we may find communication issues come to the fore today. Venus in Gemini likes to keep it light and breezy, but with the Moon squaring Venus, day-to-day interplay (especially with women), may get a little TOO lively early on. Later, the Moon opposes Neptune, conjuncts Mars and also aspects Uranus, and combined with other planetary patterns, it’s anybody’s guess what happens, but it’s likely to be surprising, confusing and/or somewhat explosive. Expect chaos, but don your safety helmet, and you’ll be ahead of the game! The Keyword for the Sabian Symbol is “Diligence” and for the Kozminsky Symbol it’s“Deviation”. Both images relate to cultural values and traditions. The Sabian Symbol shows ability, patience and skills, handed down through the generations, that result in a work of art that also has practical value. The focus is on self-expression within the framework of a tribe, or group, someone who honors the traditions of their past and brings them into the present. Many Native American blankets and craft work feature symbolism that reflects their spirituality and belief system. Think of the “mantle of the heavens”. The Kozminsky Symbol shows the “down side” of dogmatic religion–a blind belief that your side is always right, a rush to judgment and action, a certain foolhardiness that everything you do will turn out correctly in spite of your lack of planning or failure to see obvious obstacles. The Crusader, attempting to spread his belief system by force, is ensnared by a lack of knowledge of the local landscape (both the quicksand and the local person mocking him illustrate this.) This is the blind side of Sagittarius (see the tarot cards for today, below.) Understanding and integration (Temperance) is required, and it takes time (Saturn) and skill (there’s a learning curve!) in order to achieve lasting positive results. Philip II (The Stout) of France, Henry IV (England), George Herbert, Russel Wright, Iron Eyes Cody, Washington Irving, Charles D. Wilkes (Commander, Union Navy), Louisa Maria, Queen of the Belgians, Edward Everett Hale, William Macy “Boss” Tweed, John Burroughs, Leslie Howard, Dooley Wilson, George Jessel, Henry R. Luce, Herb Caen, Alec Baldwin, Eddie Murphy, Marlon Brando, John Demjanjuk, Virgil Grissom, Don Gibson, Jane Goodall, Jeff Barry, Jan Berry (Jan & Dean), Billy Joe Royal, Marsha Mason, Wayne Newton, Tony Orlando, Richard Manuel (The Band), Richard Thompson, Mick Mars (Motley Crue), Melissa Etheridge, Mike Ness (Social Distortion), Sebastian Bach (Skid Row), Jennie Garth, David Hyde Pierce, Mel Schacher (Grand Funk Railroad), Dee Murray (Elton John Band), Helmut Kohl, Miyoshi Umeki, Harry Landers, Adam Scott. Both cards radiate fire energy, more specifically Sagittarian energy. This combination is about balancing intense energies, finding peace and harmony through cooperation and “bridging the gap” between people, ideologies, and situations. It’s also about finding the balance between helping others, working with them, and taking on too much –to the point of being overwhelmed by what you’ve shouldered. If things aren’t moving and you’re feeling stuck, or if you’re feeling like a beleaguered underpaid assistant rather than being seen as someone else’s equal, it’s time to reassess what you’ve gotten yourself into–and why. Take a good look at why you need to be so responsible for everything (the 10 of Wands relates to Saturn in Sagittarius), or how your philosophy or belief system has landed you where you are. Temperance references the goddess Iris, who is represented by the rainbow, the bridge between earth and the heavens-it’s time to acknowledge all the “colors” of who you are!